To justify the need for New Deal projects, the government employed photographers to document the suffering of those affected, producing some of the most iconic photographs of the Great Depression. 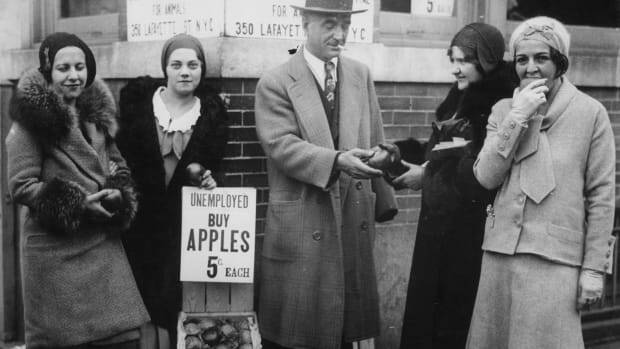 During the 1930s, America went through one of its greatest challenges: the Great Depression. President Franklin D. Roosevelt attempted to relieve the dire economic situation with his New Deal programs. To justify the need for those projects, the government employed photographers to document the suffering of those affected and publish the pictures. Their efforts produced some of the most iconic photographs of the Great Depression – and all of American history. 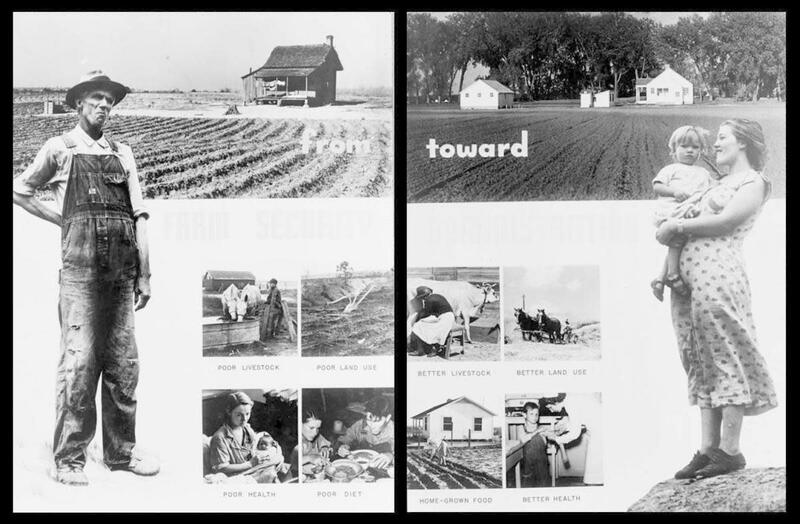 The Resettlement Administration, later replaced by the Farm Security Administration (FSA), was created as part of the New Deal to build relief camps and offer loans and relocation assistance to farmers impacted by the Depression and the Dust Bowl, which wreaked havoc on the Great Plains. But the programs weren’t cheap and required significant government funding to maintain. 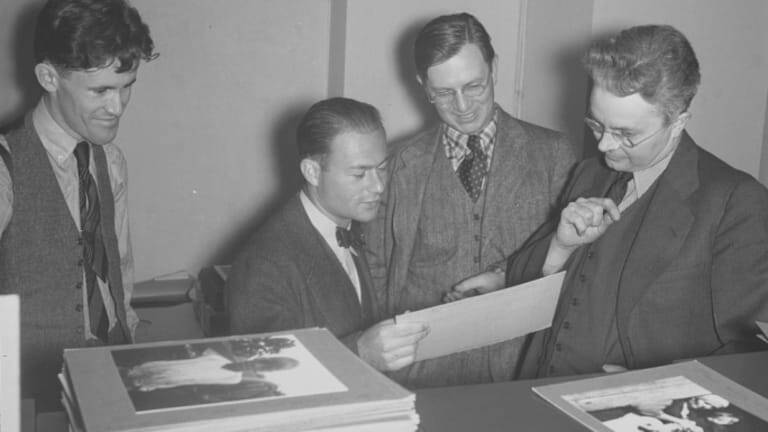 Former Roosevelt advisor Rex Tugwell headed up the department and soon hired Columbia University professor Roy Stryker as Chief of the Historical Section in the Division of Information. Stryker also led the agency’s Photographic Unit. Stryker was tasked with documenting the need for government assistance by taking photographs of rural farmers at work and at home in their small-town communities, of migrants looking for work and of the effects of the Great Depression on everyday life in rural America. “Show the city people what it’s like to live on the farm,” Tugwell reportedly told Stryker. The FSA photographs galvanized Americans into action. Stryker created a team of “documentary photographers.” They didn’t want to just churn out propaganda photos of bread lines, vacant farmhouses and barefoot children caked with dust. They also wanted to capture the raw emotion behind the drudgery and bring empathy to the suffering of ordinary Americans. The first photographer Stryker chose for his team was Arthur Rothstein. 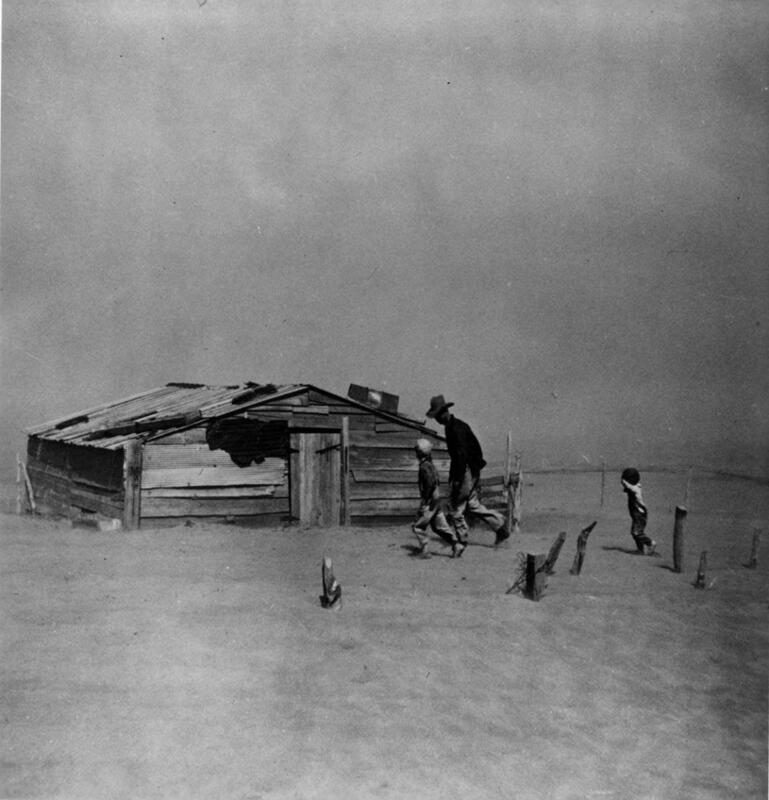 During his five years with the FSA, his most noteworthy contribution may have been, “Fleeing a Dust Storm,” a (supposedly posed) photo of an Oklahoma homesteader and his two young sons trudging through swirling layers of dust towards a dilapidated shack. 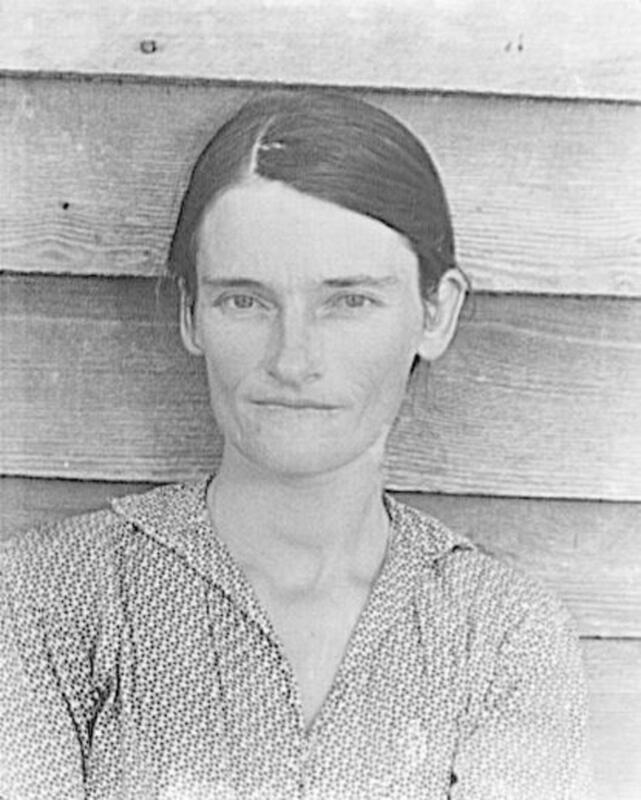 New Jersey-born portrait photographer Dorothea Lange also worked for the FSA. She took many photographs of poverty-stricken families in squatter camps, but was best known for a series of photographs of Florence Leona Christie, a 32-year-old mother living in a camp of stranded pea pickers. 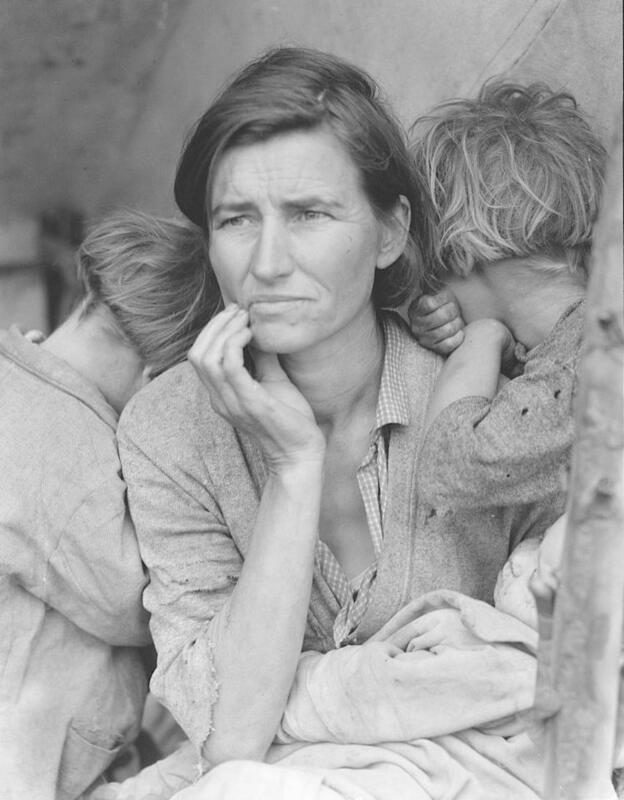 One photograph of Christie, “Migrant Mother,” became a defining symbol of the Great Depression. 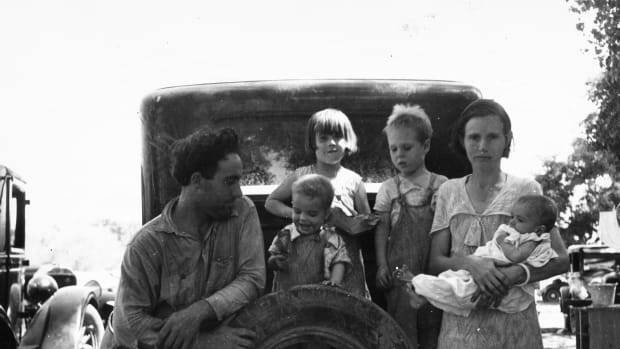 The pictures’ publication incited an emergency food delivery to the pea picker’s camp, although Christie and her family had reportedly moved on before help arrived. Photographer Walker Evans also joined the FSA team. He’s well-known for his photo of Allie Mae Burroughs, a sharecropper’s wife and mother of four. He’s also known for photographing images of shop windows, architecture and items which portrayed the resourcefulness of depression-era Americans. Russell Lee: known for capturing moments of hope and joy among poor migrants. Gordon Parks: a black photographer who experienced rampant bigotry in Washington, D.C., but nonetheless stayed with the FSA and became known for his haunting photos of charwoman Ella Watson. Carl Mydans: known for his pictures of disheveled farmers and their families living in makeshift shelters. Jack Delano: a Russian immigrant who photographed migrant workers and famers along the eastern seaboard and later, Puerto Rico. Depression-era photo subjects showed as much strength as suffering. 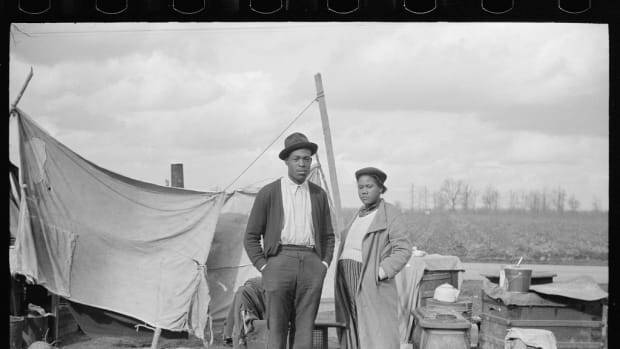 Although the government used FSA photographs to prove its New Deal programs helped impoverished Americans, FSA photographers also sought to portray their subjects as strong, courageous people determined to survive tough times. The people they photographed were often resilient, prideful and fiercely independent. Ironically, many refused to accept the very government assistance they’d inadvertently become the faces for. Instead, they used ingenuity and whatever resources they had to remain self-supporting, and considered government welfare a last resort. 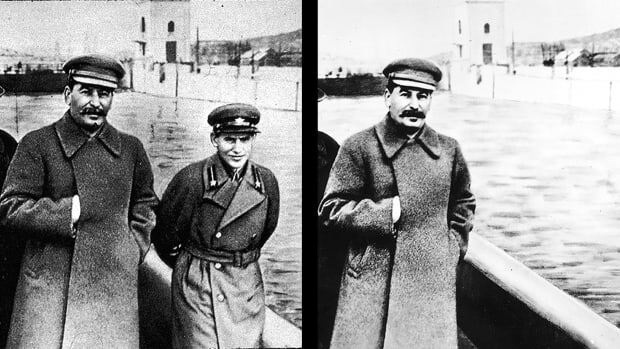 Some people were reportedly angry and embarrassed when they realized their photographs had been published. The FSA photo archives left an unprecedented historical legacy. The FSA created an historical archive unlike any made before. By the time the project was finished, FSA photographers had taken well over 250,000 photographs. Since the photographers were funded by the government, all photos were and remain in the public domain – neither the photographers nor their subjects received royalties. FSA photos appeared in popular magazines such as Fortune, Look and Life, making it almost impossible for any American to deny the devastating impact of the Great Depression. 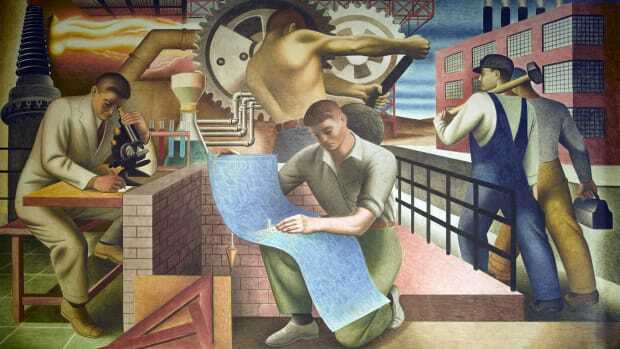 Without the committed work of the FSA, the wealthy – some of whom actually got wealthier during the Depression – and people in the eastern United States might have remained oblivious to the full reach and suffering of rural Americans or offered ongoing support for the New Deal. What began as a political ploy ended as a poignant and realistic photo-documentary, made by some of the finest artists of the New Deal programs, which created a lasting legacy of a turbulent era in U.S. history. Did New Deal Programs Help End the Great Depression? 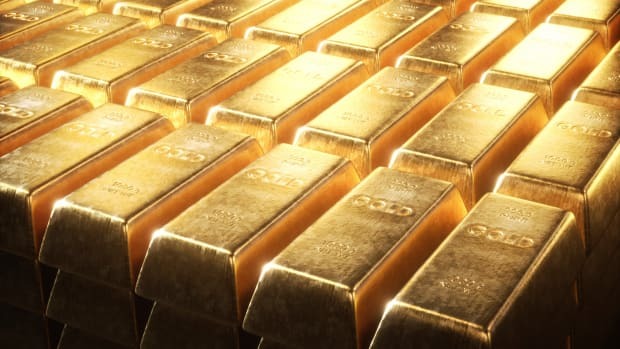 How Did the Gold Standard Contribute to the Great Depression?